"...one of the best games, shooter or otherwise, of the last generation." Gears of War 3 continues the story of Marcus Fenix, his band of allies, and the fight for survival. The COG have essentially been crippled due to the disappearance of Chairman Prescott and several other losses. The survivors find themselves adrift at sea, continuing the fight for Sera against a new foe – the Lambent. When Prescott reappears, Marcus discovers the status of his father, Adam Fenix. Adam is alive and well, working on destroying the Lambent once and for all. So, Marcus, Dom, Baird, Cole, and a set of new active Gears, such as Anya and Jace, head out to save Adam and win back Sera. Much like the original, most of this game feels like a grand adventure from one place to another a la Lord of the Rings – I enjoyed this vibe. The story takes you on a roller coaster with massive action set pieces and effective drama. The ending is also superb, including the strong final boss. This is how you finish a trilogy and leave an impression. 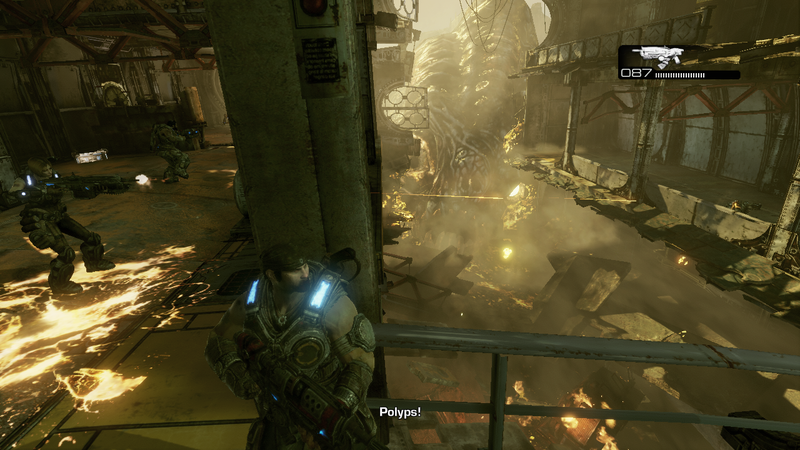 After some effective buildup, Gears of War 3 tosses you directly into the action. Gears of War 3 is a step above its predecessor – the same way Gears of War 2 was better than the original. 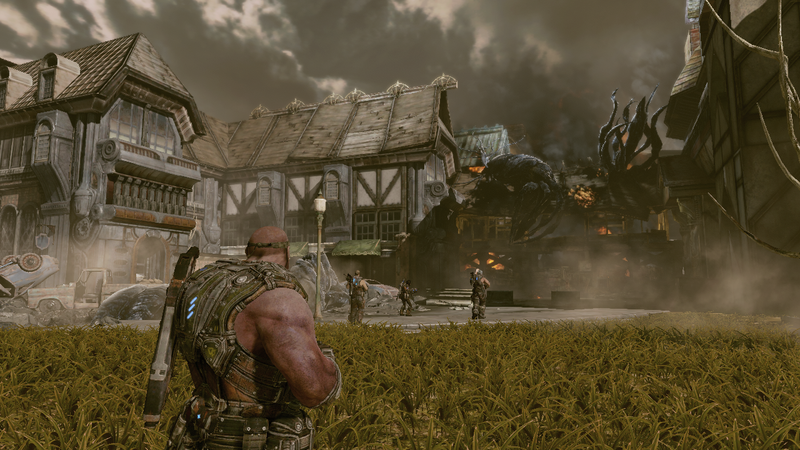 Gears of War 3 takes everything you loved from the second game and makes it better. From the gameplay to the plot, this is the definitive Gears of War experience. (Of course, you still have to play the first two to really ingest the full experience.) The story is more refined, balancing its action, drama, and characters well. Although a shooter at heart, Gears of War 3 manages to be more thanks to its characters and universe. There are several moments that hit hard thanks to the focus on character. I know, I know, Gears of War has often been treated as the 'dudebro' poster child, but I don't get it. Honestly, I don't see how a game with well thought-out characters and a grimly vibrant SciFi world could be considered 'dudebro,' but I digress. The variety in gameplay also includes the opportunity to play as the Cole Train. Woo! 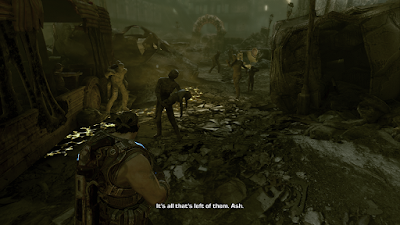 Aside from offering an engaging story and wonderful world, Gears of War 3 also offers excellent gameplay. Moving from cover-to-cover is flawless now. You'll rarely find yourself getting stuck on walls, like I did in the original. The shooting is satisfying, every weapons has the proper weight and accuracy. Speaking of weapons, there is also a new set of weapons added to your armory, including incendiary grenades and a sawed-off shotgun. You'll also be able to use the Silverback, a mech with machine guns and rockets. Like its predecessor, you'll also ride along in some on-rail shooting experiences, like when you're riding on the back of a truck or in a submarine. The different weapons and vehicles are balanced well to keep the game engaging. In other words, this is more than a hallway shooter. 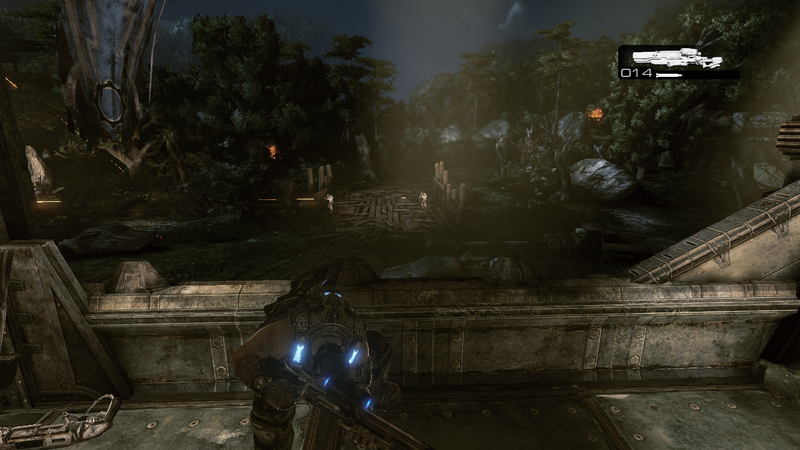 For a game on hardware released in 2005, Gears of War 3 looks amazing. John DiMaggio returns as Marcus Fenix, delivering his lines with the gravelly voice we've come to adore. Carlos Ferro, who plays Dom, has also improved. It's always great to hear Lester Speight as the Cole Train, too. The game is also visually impressive, especially for an Xbox 360 game. The final chapter in the trilogy is still gritty and forlorn, but there's much more color to this world. Although some like the grimy style more, I actually welcome the vibrant colors – I enjoyed them in Gears of War: Ultimate Edition for example. Aside from more color, the lighting is also improved. It's improved so much, some stages are actually designed to show off the visuals – and rightfully so. As gritty and forlorn as ever. The character models, however, must have received the greatest improvement – from blocky and ugly to smooth and, well, ugly but in a good way, I suppose. The characters, especially their faces, look much better now. They're still scarred, but they actually look closer to people than before. The music is also great, hitting the right notes at the right times. The visual-audio presentation truly create an epic experience. Fortunately, the experience is not soiled by any significant technical flaws. The AI is also great – friends and foes react well, working to develop the best strategies. The framerate is mostly great, too. It's a great story with a great technical experience. Overall, Gears of War 3 is an excellent video game. From its tormented characters to its rich world, Gears of War 3 solidifies itself as the definitive third-person shooter. It may not have as many scripted events as some other adventure games, but it certainly has more originality and gameplay than most of its peers. Playing through the trilogy leaves a lasting impression – the brotherhood is transmitted from screen to audience. It may sound like exaggerated praise, but I truly loved this game. It is one of the best games, shooter or otherwise, of the last generation. If you haven't played it or haven't even touched the series due to the misconceived 'dudebro' title, you are truly missing out.